This is an insightful and important book. Post-Soviet Power presents a sophisticated and dynamic account of the transformation of the Russian electricity sector—“the backbone of the Russian economy” from the early 1990s until 2008, when the team of liberal reformers headed by Anatolii Chubais managed to complete the process of restructuring the state energy monopoly United Energy Systems (UES). The study views the economics and politics of post-Soviet institutional building in the electricity sector as closely intertwined and mutually constitutive processes. Khmelnitskaya, Marina. 2018. “Susanne A. Wengle. Post-Soviet Power: State-Led Development and Russia’s Marketization. New York: Cambridge University Press, 2015”. 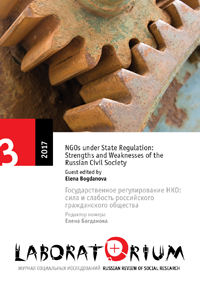 Laboratorium: Russian Review of Social Research 9 (3), 153-56. http://soclabo.org/index.php/laboratorium/article/view/741.